Utility Rights of Way Vegetation Management - NaturChem, Inc.
Every utility that generates, stores, transports or transmits energy has rights of way that must be maintained. 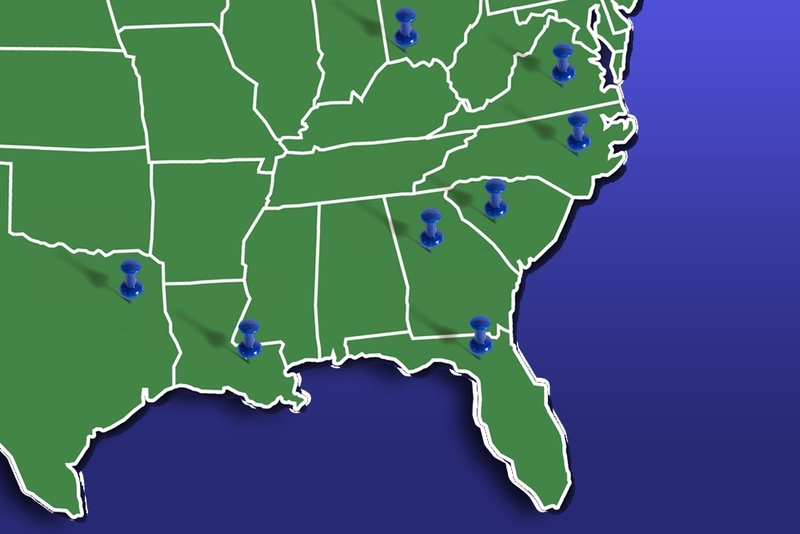 NaturChem provides a wide array of right of way maintenance services. We help maintain rights of way for water and sewer systems, natural gas, oil, refined petroleum products and the electric power generation, transmission and distribution markets. 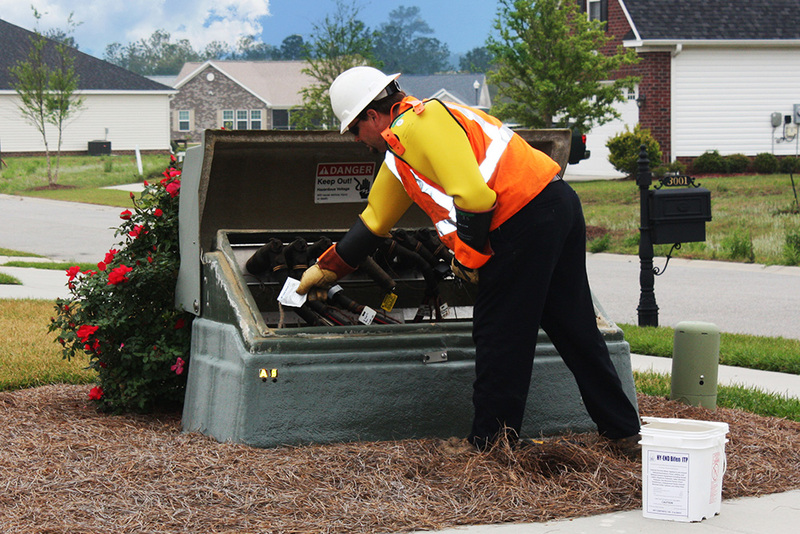 NaturChem’s Utility Rights of Way Maintenance programs benefit our customers and the public in many ways. Maintaining rights of way literally keeps the lights on. Our service makes it possible of repair crews to gain access to any section of the right of way. Controlling the brush keeps limbs from shorting out power lines and roots from breeching underground transmission lines. Our program improves the aesthetic appeal of the right and makes it more pleasant for the public. Quality right of way programs provide better and more stable ground cover and reduce the likelihood of soil disturbances that result in ruts. It is safer than mechanical maintenance and provides longer lasting results. Proper vegetation management of utility rights of way help to provide predictable, stable and less costly energy for everyone. Some of our customers ask us to mow their rights of way at the end of each year. In high profile areas, a typical program would be to spray for brush every third year and mow the right of way once each year. Over the course of time, neglected rights of way become overgrown and must be reclaimed. NaturChem has the equipment and expertise to reclaim or re-clear rights of way that have been left unmaintained for several years. We also have the capability of clearing new rights of way. One of the ways that rights of way begin to get overgrown is from brush encroaching from the side. Over time, it is not uncommon to lose several feet of the right of way to brush and limbs. 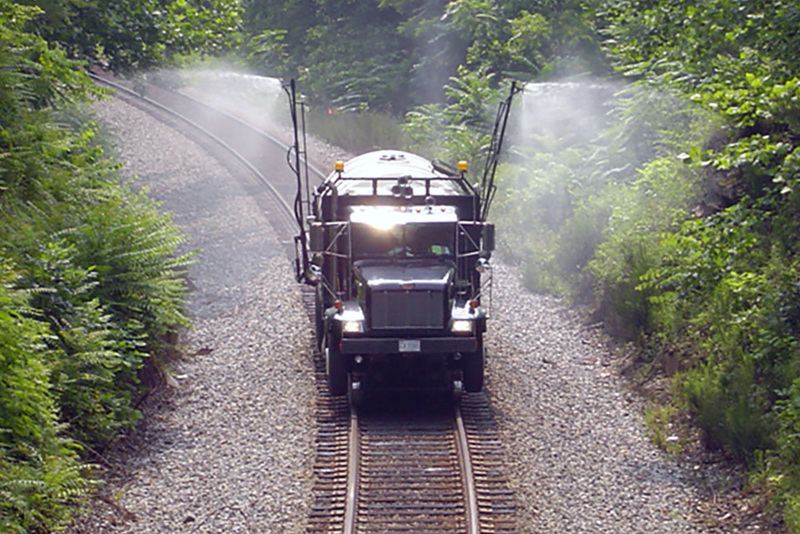 To reclaim this right of way, NaturChem offers chemical and mechanical side trimming solutions. For the lower brush and trees, chemical side trimming is the most cost-effective method to clear is this brush. We are able to kill the brush and only the encroaching limbs on larger trees. For side-trimming taller trees, NaturChem will use only mechanical means. Weed control and growth regulation are important pieces of NaturChem’s Utility Rights of Way Maintenance Program. Our main goal here is to create a consistent turf that is essentially weed free and uniform in height. Accomplishing this in a cost-effective manner improves the appearance and lowers the cost to maintain high profile rights of way. NaturChem does this by making selective weed control applications that remove unsightly brush, broadleaf weeds and grasses. The removal of faster growing and taller weeds improves the appearance and reduces the need for mowing high profile rights of way. Mowing cycles can be further reduced by the application of plant growth regulators. 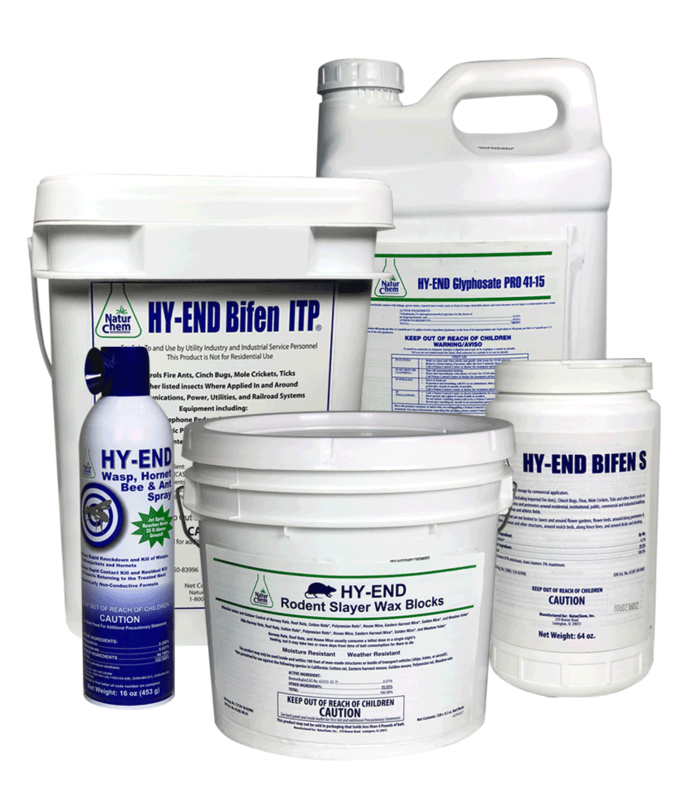 In most cases, these PGRs can be applied with the selective weed control application. The addition of PGRs to the weed control application often results in the elimination of mowing cycles.